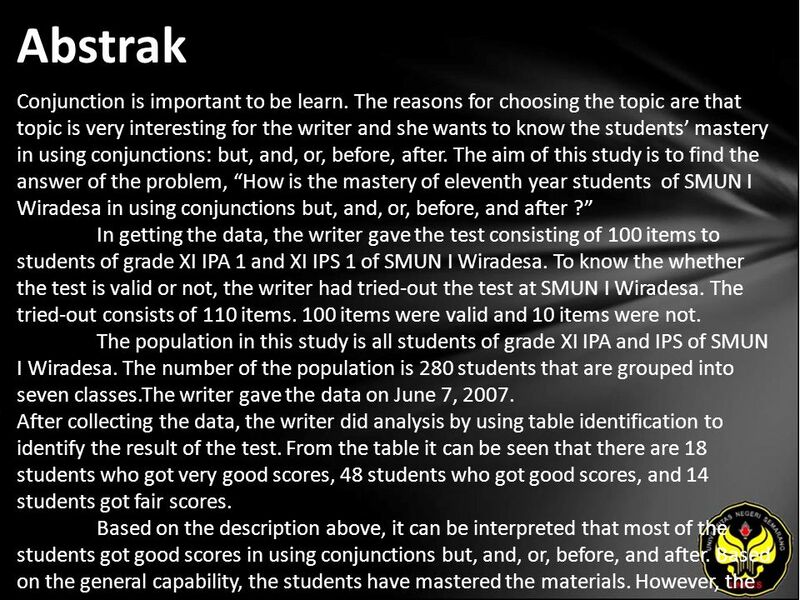 ERIKA SEPTIANINGRUM, 2201403027 A Descriptive Study on The Students' Mastery Of Conjunctions:But, And, Or, Before, After. 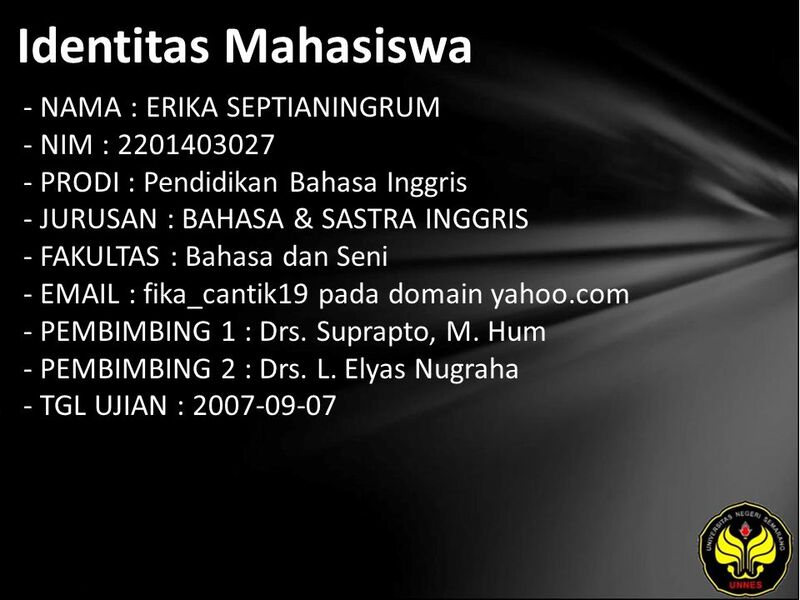 1 ERIKA SEPTIANINGRUM, 2201403027 A Descriptive Study on The Students' Mastery Of Conjunctions:But, And, Or, Before, After. 3 Judul A Descriptive Study on The Students' Mastery Of Conjunctions:But, And, Or, Before, After. 4 Abstrak Conjunction is important to be learn. The reasons for choosing the topic are that topic is very interesting for the writer and she wants to know the students’ mastery in using conjunctions: but, and, or, before, after. The aim of this study is to find the answer of the problem, “How is the mastery of eleventh year students of SMUN I Wiradesa in using conjunctions but, and, or, before, and after ?” In getting the data, the writer gave the test consisting of 100 items to students of grade XI IPA 1 and XI IPS 1 of SMUN I Wiradesa. To know the whether the test is valid or not, the writer had tried-out the test at SMUN I Wiradesa. The tried-out consists of 110 items. 100 items were valid and 10 items were not. The population in this study is all students of grade XI IPA and IPS of SMUN I Wiradesa. The number of the population is 280 students that are grouped into seven classes.The writer gave the data on June 7, 2007. After collecting the data, the writer did analysis by using table identification to identify the result of the test. From the table it can be seen that there are 18 students who got very good scores, 48 students who got good scores, and 14 students got fair scores. Based on the description above, it can be interpreted that most of the students got good scores in using conjunctions but, and, or, before, and after. Based on the general capability, the students have mastered the materials. However, the capabilities vary. They make different numbers of errors in mastery conjunctions but, and, or, before, and after in sentences. The highest score from the test is 88 gained by 2 students and the lowest score is 60 gained by 1 student. From the result, the writer can get concludes that the students must study harder to get better mark and the teacher of SMUN I Wiradesa must make the teaching and learning process succesfull and efective and give motivation to the students to study hard. So the students can get good mark. By knowing the conjunctions: but, and, or, before, and after, the students will be encouraged to be active in improving their vocabulary skills. 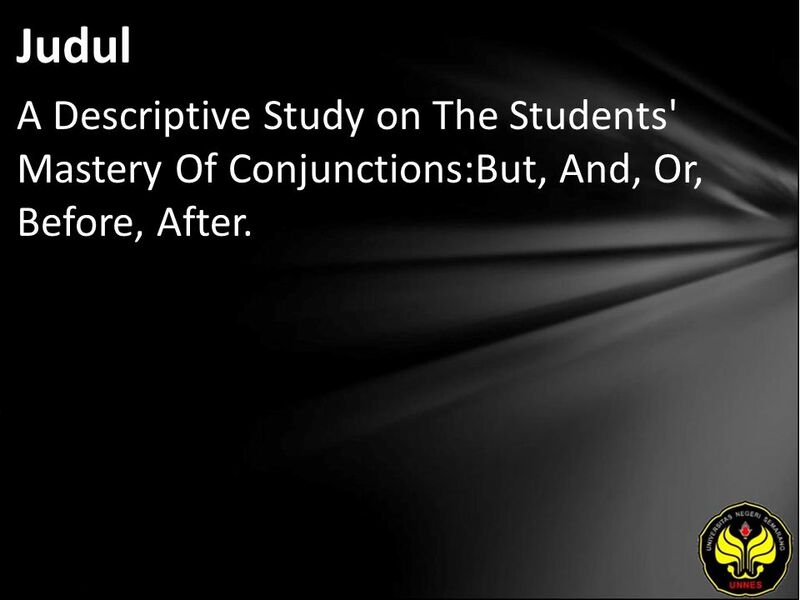 By knowing the result of this study the teacher can understand the students mastery in using conjunctions. The teacher should give more exercises and more attention to the teaching of English subject especially conjunctions: but, and, or, before, and after. The errors made by the students show that they faced some difficulties. When the result exercises are not satisfactory, the teachers should explain the topic again. 6 Referensi Arief Furchan. 1982. Pengantar Penelitian Dalam Pendidikan. Malang : Usaha Nasional Surabaya Indonesia. Corder, S. P. 1973. Introducing Applied Linguistics. Pertama. Harbour. Penguin book Ltd. Departemen Pendidikan dan Kebudayaan. 2004. English Curriculum for Senior High School. Frank, Marcelle. 1972. Modern English : A Practical Reference Guide. New Jersey : Prentice Hall. Herman J, Waluyo. 1989. 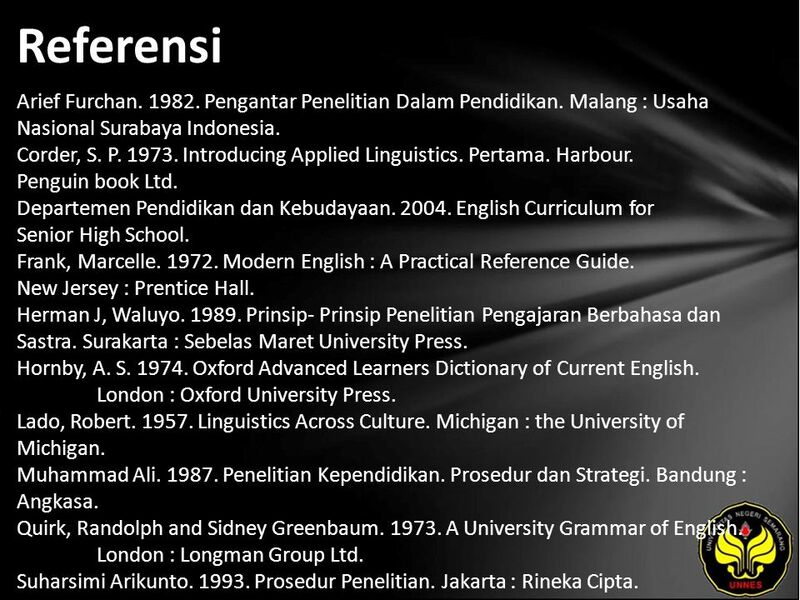 Prinsip- Prinsip Penelitian Pengajaran Berbahasa dan Sastra. Surakarta : Sebelas Maret University Press. Hornby, A. S. 1974. Oxford Advanced Learners Dictionary of Current English. London : Oxford University Press. Lado, Robert. 1957. Linguistics Across Culture. Michigan : the University of Michigan. Muhammad Ali. 1987. Penelitian Kependidikan. Prosedur dan Strategi. Bandung : Angkasa. Quirk, Randolph and Sidney Greenbaum. 1973. A University Grammar of English. London : Longman Group Ltd. Suharsimi Arikunto. 1993. Prosedur Penelitian. Jakarta : Rineka Cipta. Sutrisno Hadi. 1987. Methodology Research. Yogyakarta : Fakultas Psikologi UGM. Raymond, Murphy. 2002. English Grammar In Use. Cambridge University Press. Jakarta : Erlangga. Betty, Schrampfer Azar. 1992. Understanding and Using English Grammar. Jakarta : Binarupa Aksara. 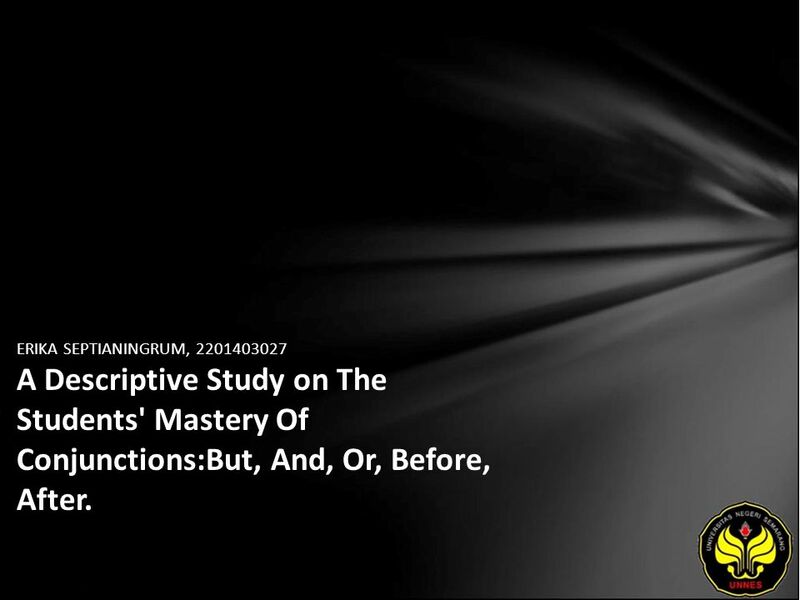 Download ppt "ERIKA SEPTIANINGRUM, 2201403027 A Descriptive Study on The Students' Mastery Of Conjunctions:But, And, Or, Before, After." SETIYO BEKTI, TEACHING READING COMPREHENSION USING MIND MAPPING TECHNIQUE (An Experimental Study on eleventh grade students of SMK Negeri 8. 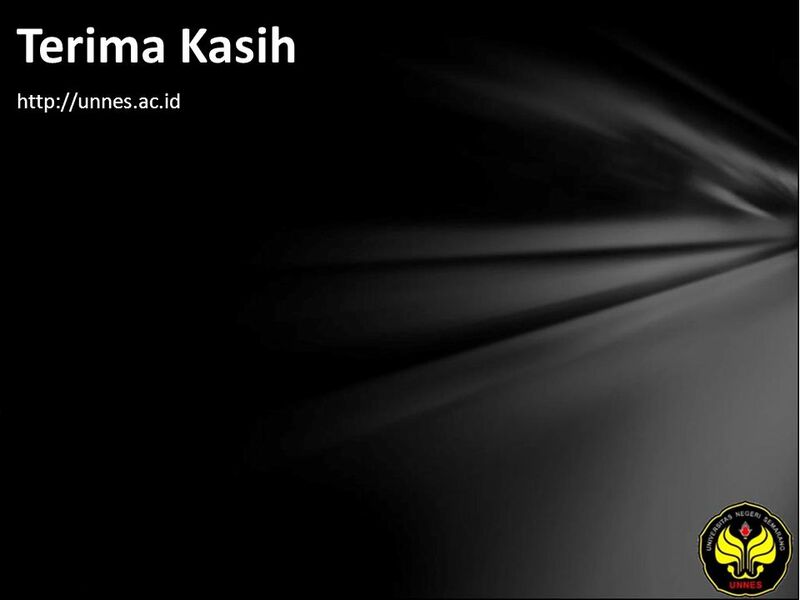 NAELA KHIKMIAH, THE IMPACT OF ENGLISH CLUB TOWARDS STUDENTS SPEAKING SKILL. RETNO INDRIYATI, THE PROFILE OF STUDENTS MASTERY OF QUESTION TAGS THE CASE OF THE THIRD YEAR STUDENTS OF SLTP INSTITUT INDONESIA SEMARANG THE. TRI ANGGONO SULISTIONO, THE EFFECTIVENESS OF USING SUGGESTOPEDIA IN TEACHING SPEAKING (AN ACTION RESEARCH AT GRADE X OF SMA NEGERI 1 KAYEN IN. WINARTI, THE POSSIBLE CONTRIBUTION OF TEACHING COLLOCATION WORDS TO THE STUDENTS READING ACHIEVEMENT (A Case Study of the Second Grade Students. AGRISSTO BINTANG AJI PRADANA, ITEM FORMAT ANALYSIS OF THE FIRST SEMESTER READING TESTS MADE BY ENGLISH TEACHERS BASED ON KTSP AND BROWNS GUIDELINES. DIAN ANGGRAENI, DICTATION AS A TESTING DEVICE OF LISTENING: ANALYSIS OF STUDENTS ERROR (THE CASE OF THE FIFTH GRADE STUDENTS OF SDN SLAWI KULON. LINA DWI APRILLIANI, SOME COMMON ERRORS IN USING SIMPLE PRESENT TENSE IN WRITING DESCRIPTIVE TEXTS MADE BY THE EIGHTH GRADE STUDENTS OF SMP. BINAR PRITA SABRINA, 2250404023 THE VARIETY OF STYLE IN ADVERTISEMENT LANGUAGE IN THE JAKARTA POST NEWSPAPER.